How many characters would fit within 1 x SMS? For the messages that contains even a single character other than the ASCII character set, such as Japanese kanji, the maximum length is 70 characters. 1 send request can set the message with up to 180 characters, but please note that will split the message into 3 messages. It is not economical to send overlimit sized messages, while it is also important to consider the message contents to be attractive and easy to understand for the recipients. MS word can show the word count and you can check the text length before you send it. 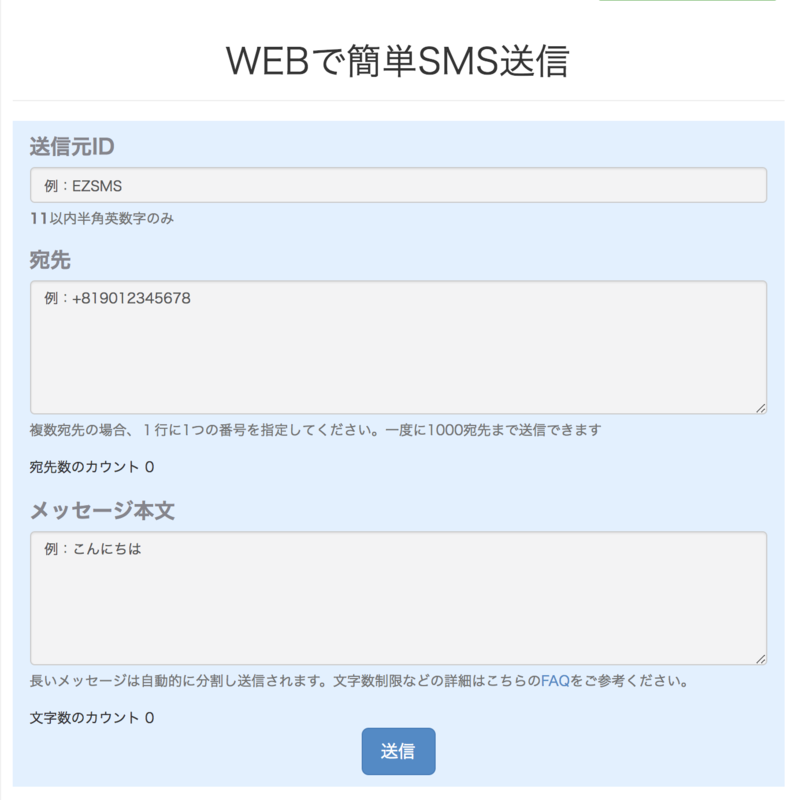 Of course EZSMS has send from the web feature and it will count the character you input as well. But you have to be careful when you send message text in English. Even if only one non-ASCII character is mixed into the text, the whole message will be regarded as non-ASCII message and the 160 ASCII-character limit will now be NON-ASCII character limit of 70, and your one sending will be splitted into 3. How do you check if your message is genuine ASCII? There are various ways to check, such as this to check easily online. Do test-sending that will be the best Please do test-sending, before you start the bulk message sendings.